Just like the Kardashians, we're leaving drama and stress in 2018 and going full zen in 2019 — or at least we're trying to. We've decluttered our dresser drawers to make sure they're only filled with expertly folded items that spark joy, booked a sound bath healing session, and next on our list is to transform our kitchens into calming oases. 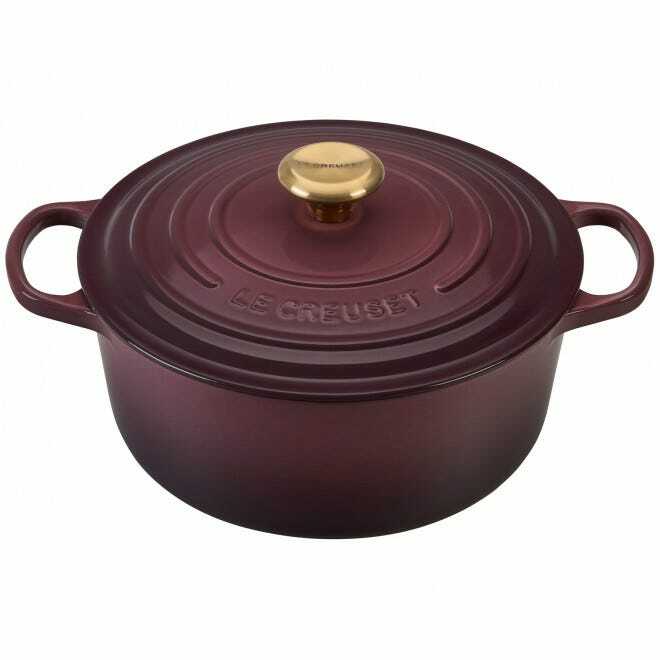 As strange a task as that might seem, it's going to be easy thanks to Le Creuset cookware in the brand's new spring colors. Le Creuset's spring 2019 color palette is called "The New Calm" and includes four tranquil shades, Meringue, Sea Salt, Fig, and Coastal Blue. Each one of the new colors is fresh, neutral, and screams softly whispers "love and light." 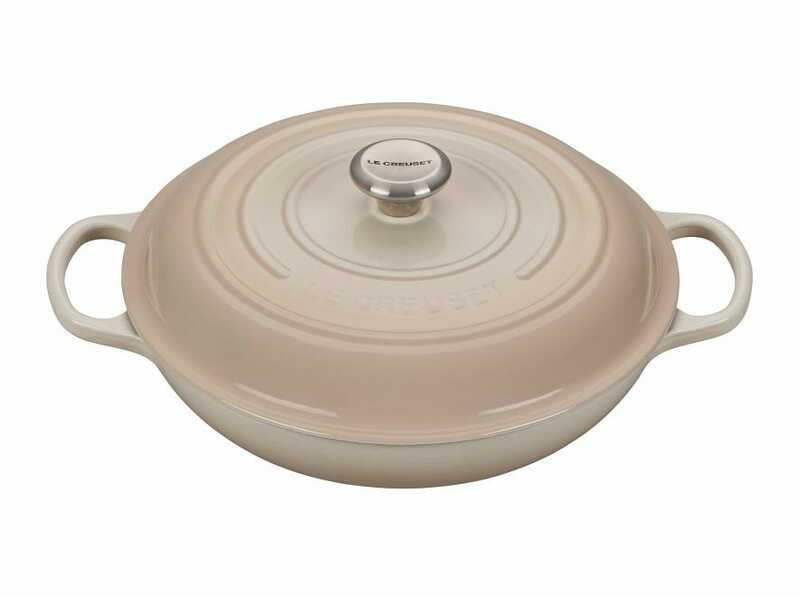 In the official press release announcing The New Calm color palette, Le Creuset revealed that the "thoughtful assortment" of shades was "inspired by current trends toward clarity and intentionality." The tones are described as "compelling yet uncomplicated, rich yet purposeful and restrained." Now those are 2019 vibes we can get behind. The new Meringue shade mimics the color of the French dessert after its been toasted ever so slightly. Soft gray, green, and blue come together to create Sea Salt, while deep violet and brown converge in Fig. Finally, Coastal Blue is the same pale hue of a clear sky over a calm sea, which just so happens to be the exact scene we picture while trying to meditate. 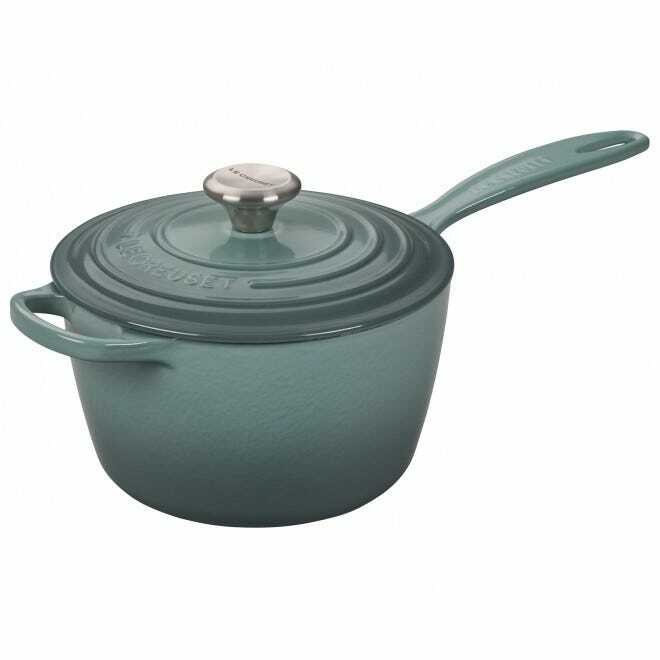 All four of these colors are available now on a variety of cast iron and stoneware items on Lecreuset.com. 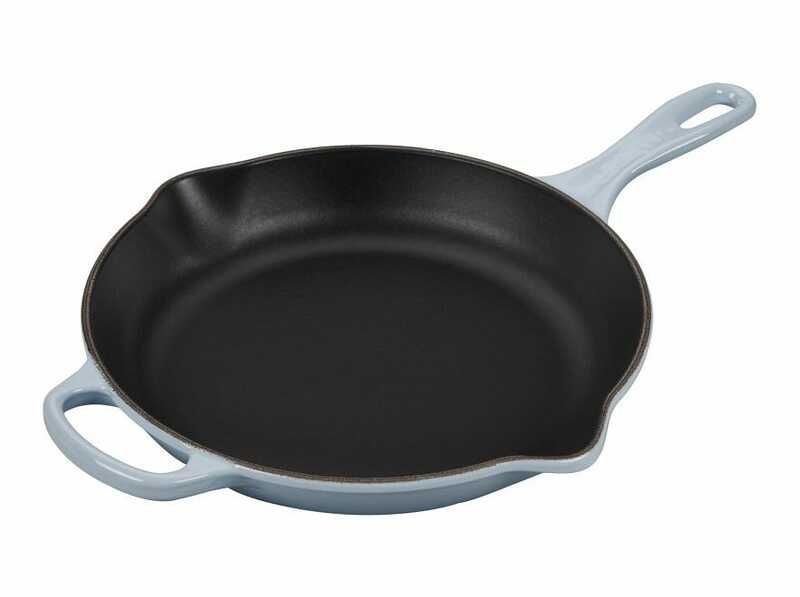 The French cookware brand advertised The New Calm color palette as especially fitting for those seeking "new beginnings and mindful simplicity," so it sounds like it couldn't have come at a more appropriate time.